Today we got to know each other and Gustav Mahler. We sang and played on Boomwhackers "Where is ______?" to the tune Are You Sleeping. We each took a turn conducting each other with the baton. 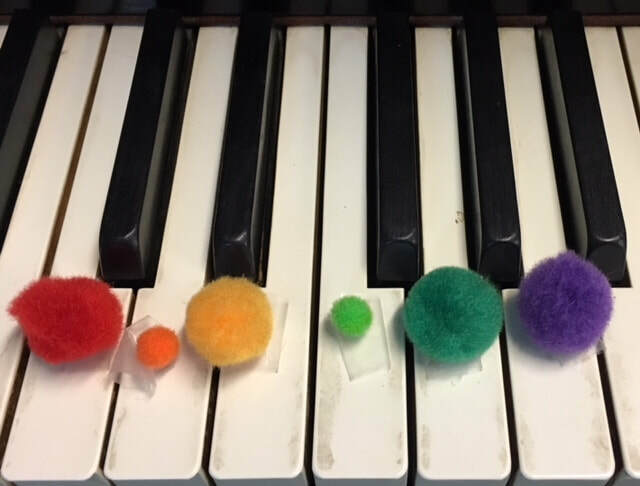 We learned how Mahler used this tune in his 1st Symphony, listened to the first 2 minutes of Mahler's 1st Symphony, learned about what major and minor mean, and played the song to Mahler's minor version. We took out Boomwhackers and learned about how high and low sounds correlate with size and performed the theme from Mahler's Symphony No. 1 taking turns conducting! We then went over to the piano and played the Major version "Where is ________?" with colors as guides. We also investigated the inside of the piano. Watch the first 2:45 of the youtube video together and see if your Mini Maestro can conduct along with Christoph Eschenbach. 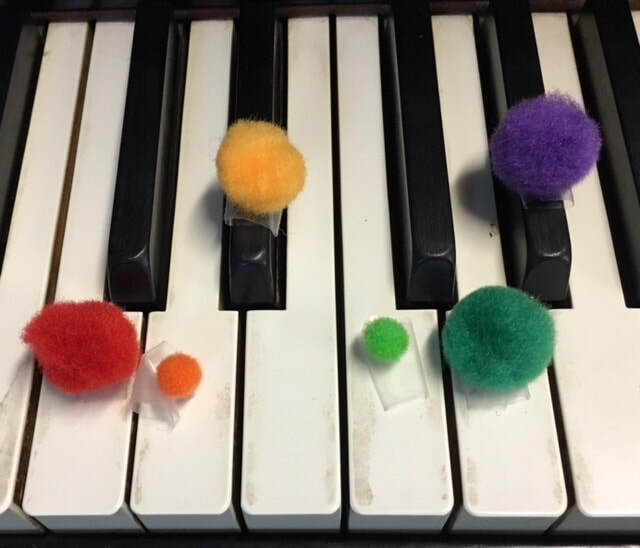 If you have a play piano, real piano, or keyboard at home, color code the keys to "Where is?" and Mahler Symphony No. 1 so your mini maestro can play it for you!